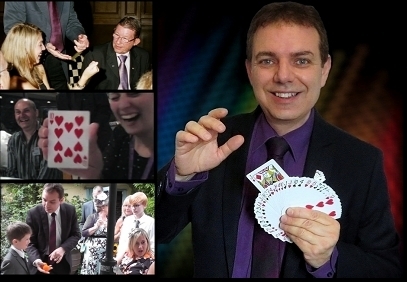 Magician Hertfordshire for Weddings "BE AMAZED!" 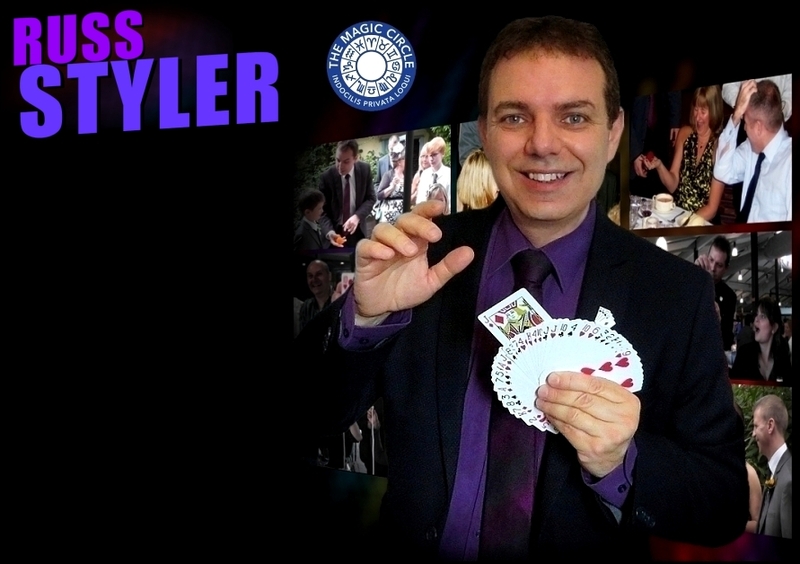 Whether it's a magician for a wedding, special birthday party, anniversary or other family celebration, Russ Styler's combination of amazing sleight-of-hand magic and humour is what continues to make Russ such a popular choice for such occasions in Hertfordshire and UK wide. Russ has performed at countless top hotels and venues for wedding receptions, anniversary and engagements parties over the years, for which close up magic is perfectly suited to keep your guests amazed and entertained during a drinks reception, around the tables and for weddings can be additionally useful to bridge the gap between the end of the meal and the arrival of evening guests. For futher information check out the "close up magic" page or get in touch with Russ with any questions you may have regarding hiring a magician for your wedding or other family party. Wedding magician Hertfordshire, Herts. Harpenden - Hemel Hempstead - Hatfield - London Colney - Redbourn - Sandridge - St Albans - Stevenage - Ware. 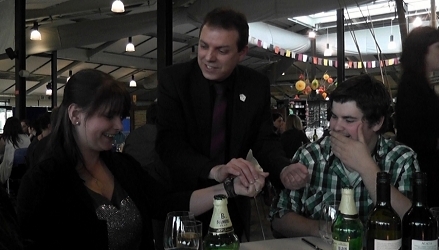 Close up table magician for your Hertfordshire wedding or anniversary. Hire for all events & occasions. For futher information check out the "close up magic" page or get in touch with Russ with any questions you may have regarding hiring a magician for your wedding or family party. If you would like to discover how hiring a magician can work to give your special event or occasion an added magical dimension and leave your guests with something that they will talk about for years to come, click on any of the appropriate buttons above to learn more.